Carbon (Stage 1) and Claryum (Stage 3) filter cartridge replacements for the AQ-RO-3 OptimH2O Reverse Osmosis Drinking Water System. 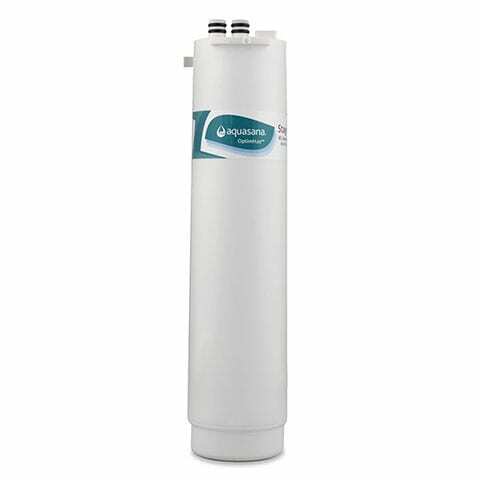 OptimH2O® Reverse Osmosis Stage 1 & 3 Filter Replacements is rated 4.8 out of 5 by 174. Set of replacement Carbon & Claryum filter cartridges for the AQ-RO-3 OptimH2O Reverse Osmosis Drinking Water System. 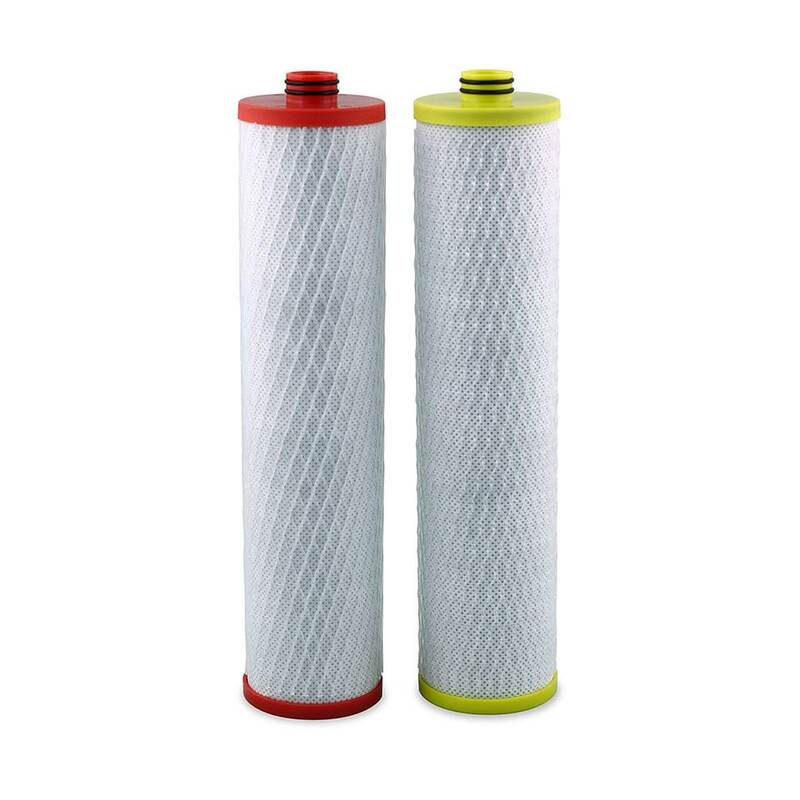 Carbon & Claryum filters (stage 1 & 3) should be replaced every 6 months or 365 gallons for optimal filter effectiveness. For information see our Performance Data Sheet. Rated 5 out of 5 by qwq52819 from It is very good I bought it three month ago, very good! Recommend! Rated 5 out of 5 by Cathryn from Great product We bought this last year and have been very happy with it - taste is great and feel better knowing contaminants removed from water. Also super easy to remember to change filters when they are delivered automatically at that time. Clean water is life changing! Rated 5 out of 5 by Joanne D. from Highly recommended! This system works really well. We have a soft water and treatment system for our lake well but the water did not taste very good for drinking. We installed this system and then had our water tested and we are well within the normal limits and the water tastes good! When you subscribe Aquasana's automatic filter replacements you have a lifetime warranty. This proved to be well worth it when we had to disconnect the whole system when we remodeled our kitchen and had a slight leak on the keyhole where the drain bracket connection is when it was re-installed. They sent another one right away - no charge. And, the convenience of not having to worry when you need to replace the filters is another plus. Highly recommended for DIY. Joanne D.
Rated 5 out of 5 by Happy Client from Easy to replace no fuss with great results. We changed to a Reverse Osmosis system and are very happy with it. Simple to use and easy to change filters. No fuss and simple to use. Rated 5 out of 5 by Ladybub from Wonderful Filtration System For quality drinking water. Rated 5 out of 5 by CC from Great Product My family and I were building a new house in North Texas and found out that the water had many issues. After much research on water quality and how it can affect your health as well as appliances, pipes etc. I started my shopping and asking water purification companies questions. The last company on my list should have been my first. I called and spoke to an Aquasana sales rep and told him my issues and concerns. He then proceeded to give me advice on what to look for in a product and did not try and high pressure sales me. He advised me on a solution that best fit my particular issues. So back to researching again. Everything he recommended was spot on. We ended up going with a whole house filtration system with a pre-sediment filter and a UV filter with an RO system in two sinks. As I said our water quality is less than desirable. We have had the system for almost ten months now and could not be happier with our decision. We have recommended the products to several other neighbors and they to are happy. A week ago another neighbor came by and was asking questions about our system and asked if she could do a water test on our RO and whole house because she was about to switch from another company. So test she did. She got the results and then informed us that our water was better than any of the other 10 she had tested. Our TDS, chlorine and chloride were the lowest she had tested. She said it was a easy decision at this point. We enrolled in the filter program and get the filters delivered and that helps to remind me to change them. The changing is very easy. Can change them all in 10 minutes or less. All in all very satisfied with customer service as well as support after the purchase. 100% satisfied, would buy again. Rated 5 out of 5 by Scatterjoy from What about annual remineralization? Hi. We installed the filters and noticed different, softer water taste so we wanted more crunch and add calcium to pitchers. We'll get the right proportion eventually. What about annual mineralization refills? They should come with every second delivery. What about trace minerals and a nitrate-nitritre test with annual delivery? Rated 5 out of 5 by Scatterjoy from What about annual remineralization? Hi. We installed the filters and noticed different, softer water taste so we wanted more crunch and add calcium to pitchers. We'll get the right proportion eventually. What about annual mineralization refills? They should come with every second delivery. What about trace minerals and a nitrate/nitritre test with annual delivery? Do I need a plumber to install the system or can I install it myself? Depending on your existing skills and experience, we recommend hiring a professional to install your reverse osmosis system. Installation does require drilling into your pipes which is not recommended for individuals unfamiliar with plumbing and permanent appliance installation. Please read through the owner's manual carefully before attempting to install the system. If you have any questions or need assistance, our technical support representatives at 866-662-6885 can walk you through the installation process. How often do I have to replace the cartridges and membrane? • Stage 1 (Carbon) and Stage 3 (Claryum) filter cartridges should be replaced every 6 months or 365 gallons. To make replacements easier and cheaper, these cartridges are eligible for our Water for Life auto-ship program. Get free shipping, the best discounts, and an extended product warranty by joining Water for Life. • We recommend replacing Stage 2 (RO Membrane) every 2 years depending on usage and water quality. For homes with higher water usage and/or poorer water quality, you may need to replace your RO membrane every 1 to 2 years. For homes with lower water usage and/or better water quality, you may only need to replace your RO membrane every 2 to 3 years. • We recommend replacing the remineralizer every 1 year depending on usage and water quality. Yes. 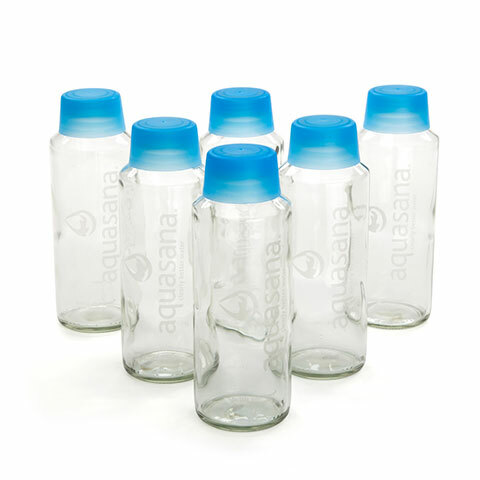 The Aquasana OptimH2O uses reverse osmosis to effectively purify your drinking water. In addition to reverse osmosis, the OptimH2O system also uses selective filtration to reduce over 60 other contaminants, plus includes a remineralizer designed to put back healthy minerals like calcium, magnesium, and potassium that are removed in the reverse osmosis process. Unfortunately, drilling into your water pipes is required to install the Aquasana OptimH2O Reverse Osmosis system. If you already have an existing hole for a vegetable sprayer or soap dispenser on your sink countertop, our AQ-5200 and AQ-5300 Under Counter Drinking Water Systems can be installed without making permanent changes to your sink and are great options for rental properties. If there is not an existing hole on your sink countertop, we also have two countertop options that offer the same professional grade filtration as our under counter options (please see the Powered Water Filtration System or AQ-4000). I have an existing filtration or side faucet from a previous system. Can I use that with my new Aquasana water filter? The faucet included with the Aquasana OptimH2O is specifically designed and NSF tested and certified to work with our reverse osmosis system — any other Aquasana faucet or faucet from another filtration system not designed to work with a reverse osmosis system will not work for the Aquasana OptimH2O and may cause damage to your filtration system. If you choose to use another reverse osmosis air gap faucet, we recommend you enlist the help of a plumber to ensure proper installation. Why is it important to flush my OptimH2O Reverse Osmosis System during the initial installation? When RO membranes are manufactured, there is a preservative used to protect the membrane fibers from damage. This preservative needs to be flushed out after the system is installed and prior to drinking water from the RO system. In addition, the RO holding tank should be sanitized with a drop of bleach during the install. It is important to flush the system for the entire 24 hours during the initial install to ensure all the bleach from the holding tank is washed away before consumption. TDS is the acronym for Total Dissolved Solids, the amount of dissolved minerals and metals present in water. TDS meters tell you the concentration of dissolved minerals and metals, but are not an accurate measurement for contamination. Aquasana products reduce and remove harmful TDS like lead, but selectively retain or replace healthy dissolved solids like calcium, magnesium, and potassium. Aquasana OptimH2O comes standard with a 1 year remineralizer designed to replace healthy calcium, magnesium, and potassium lost in the reverse osmosis process. Does the Aquasana OptimH2O remove fluoride? Yes. 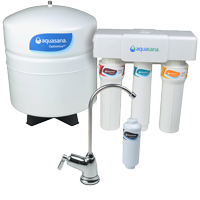 The Aquasana OptimH2O is NSF Certified to remove over 95% of fluoride from your drinking water. Does the Aquasana OptimH2O remove arsenic? Yes. 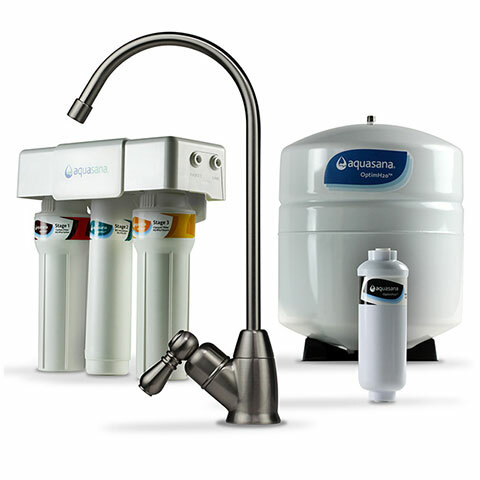 The Aquasana OptimH2O is NSF Certified to remove over 97% of arsenic from your drinking water. How many gallons does the RO holding tank store? The RO holding tank stores 3.2 gallons of water at a time. 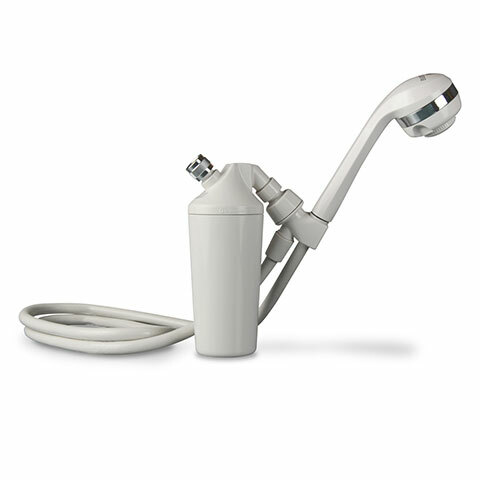 What is the flow rate of the Aquasana OptimH2O? OptimH2O flows at a rate of 0.5 gpm (gallons per minute). Are you filters are made in China or the USA? They have to be changed every 6 months, depending of the usage; in my home we are only two people but we drink a lot of water, so I change the fillets regardless; also, I have noticed that if I don't change them the water flow decreases. Thank you! The 2nd filter is your membrane and only requires a yearly replacement. The remineralizer is also one year. Yes our Reverse Osmosis system is certified to remove 97% of Hexavalent chromium aka Chromium -6, as well as Trivalent chromium oterwise known as Chromium - 3 Reverse Osmosis removes contaminants down to .0001 microns. In comparison, the smallest bacteria has been measured at .2 micron. How often must the filters be changed? The Stage 1 &amp; 3 filters RO filters should be changed every 6 months. The membrane and remineralizer for the RO system should be changed once a year. Filters on whole house city water system should be changed every ? Does any of your systems reduce 1,4-dioxane? And is there any that acts both on dioxane and chromium 6?